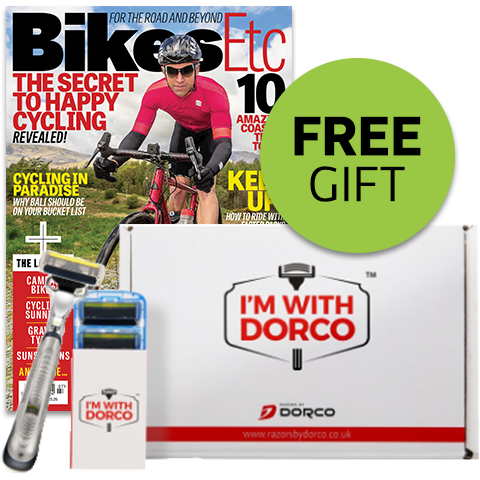 Treat your Dad (or yourself) to a subscription to BikesEtc magazine for as little as £24.99 and we'll send you a FREE Dorco Pace 6 Razor Set worth £15.98. BikesEtc is packed with the latest bikes, coolest kit and expert features to help all cyclists to get the most out of their body and bike. 6 issues only £24.99 + FREE Dorco Pace 6 Razor Pack containing a handle and four blades worth £15.98. 12 issues only £49.99 + FREE Dorco Pace 6 Razor Pack containing a handle and four blades worth £15.98. Aloe Vera, Vitamin E and Lavender Oil infused moisturising strips keep skin feeling soothed and looking supple. Razor features trimmer blade and pack includes four replacement blades. Find out more about your free gift at razorsbydorco.co.uk. 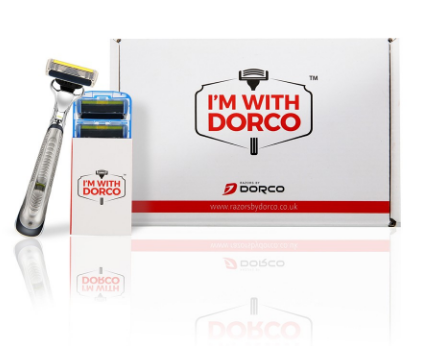 Don't miss out - order by Sunday 17th June 2018 and receive your FREE Dorco Pace 6 Razor Pack with your order*. * If we deem this offer to be misused by either any discount sites or any individual, we reserve the right to withdraw the offer and not fulfil any issues or the gift. No money will be deducted. Gifts limited to the first 200 subscribers. Please allow 28 days for delivery. Gift available to UK subscribers only. Alternative gift may be supplied.